Wondering how to find the best coffee machine? There are a few questions you can ask yourself in order to get the one that matches your needs. Which Coffee Machine Is Most Popular? Straightforward Cups of Joe or Room to Experiment? 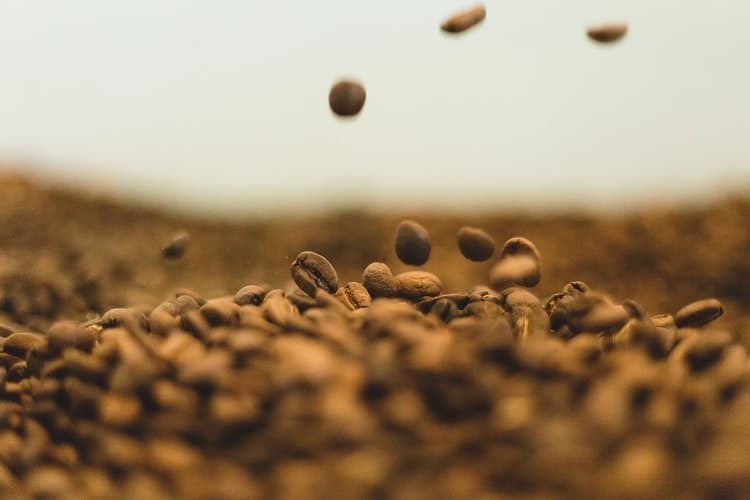 If you’re tired of going to the coffee shop for your next dose of caffeine, or you don’t like instant coffee, you’ll need to know more about what’s available to you. Making coffee at home is wonderful. If it’s cold, you don’t have to go out in it for a cup. If you want to stay in your pajamas while you make it and then drink it, you can. Similarly, if it’s too hot for you to want to leave the air-conditioned comfort of your own home, pouring a tall, refreshing glass of cold brew coffee will be perfect. You can make coffee that tastes better than what you’d normally pay more for—and it’s much more convenient—with a little research and trial and error in the kitchen. You just have to learn how to find the best coffee machine first. There are so many different types of coffee makers out there, how do you even know where to start? No worries, we can help you through the analysis paralysis. Do you just want to make coffee, or do you want to be able to make specialty beverages with espresso or strong coffee meant to be used in milky specialty beverages, like a latte? Do you have a preference for a glass or thermal carafe? How much coffee do you need to make at one time? Are there any extra features you’d like to have with your coffee machine? Do you need a special machine that you can take outdoors or camping? Do you like using pods, capsules, etc., or is ground coffee in a traditional filter more your style? Do you love the ritual of making coffee and want to spend time on it every time you make coffee, or do you prefer the convenience of setting it up, pushing a button (or maybe even setting a timer) and letting it do its thing while you do something else? Do you grind your own coffee, have an at-home coffee roaster, have it custom ground for you at a coffee shop that sells whole beans, or do you purchase your coffee pre-ground at the store or café? Do you like your coffee hot or iced? Do you love gadgets and extra features and always want to have the newest technology at your fingertips, even when you’re just making coffee? When do you drink coffee? Once in the morning or all day? Somewhere in-between? Now that you’ve got the thoughts rolling around in your head regarding what kind of experience you want to have when you use your coffee maker, let’s get into the explanations of how each type performs and who might like them most. Automatic coffee machines are great because they do the work for you and take the guesswork out of everything. You can set it up, push a button, walk away, and come back when the coffee’s ready. You don’t have to worry about water temperature, pressure, adding a little water at a time, or keeping an eye on the stove. There are a few different types of pod and capsule single-serve coffee machines. One of the most popular being the Keurig, although it has some worthy competitors. These will only make one cup at a time, but you often get a choice between a handful of cup sizes. They’ll work quickly, so it won’t be a big deal if you have more than one coffee drinker at home. These are also great if you like to drink cups of coffee every few hours, or if you like trying different flavors of coffee. A traditional automatic coffee machine won’t keep it hot for you all day and you won’t have to worry about making more than you really want each time. If you use capsules or pods, this could be an expensive option for the all-day coffee drinker (although you can buy k-cups in bulk online which can help save some money). However, a reusable pod with your own coffee might be the perfect middle ground. This is the most traditional type of coffee maker. Make up a pot (number of cups vary from machine to machine) and drink from it from a couple of hours or serve several people at once. You won’t get anything especially fancy here, but you can count on it to brew up your favorite coffee without requiring you to babysit it. You can also take advantage of a few different features, like automatic shut-off, the choice between glass and thermal carafe, and more. You’ll either need to buy coffee filters to use with this type or buy a machine with a reusable filter (pretty common these days). Combo machines are good for people with limited counter space and an interest in making more than one type of coffee (specialty drinks and regular coffee) or multiple sizes (mugs, travel mugs, carafes, etc.). You can use paper filters with these, but a lot of the combo machines have removable, reusable filters. These also tend to work for the all-day coffee drinker because you can still make a cup at a time, even if you often have a reason to make a whole pot at a time. It could be the most economical option to suit all of your needs. If you’re absolutely convinced that you’re no barista and never could be, but you love those espresso drinks enough to want to make them at home, look no further than an automatic espresso maker. These can be so automated, you can grind, tamp, brew, steam, and froth with the touch of a couple of buttons. They’re incredible, really. Those are called super-automatic machines. The only major drawback? You can expect to pay thousands for the most automated of espresso makers. A semi-automatic machine will give you a hybrid experience. You’ll have to do a little more than you would with a super automatic machine. You’ll probably have to do the grinding, tamping (not as difficult as it sounds! ), and attach the portafilter. Fully-automatic (sometimes just referred to as automatic) espresso machines are a step between the two. They cost a lot more than semi-automatic and don’t do that much more of the work for you. With a semi-automatic machine, you have to control the flow of water; with a fully-automatic, or automatic, machine, the flow of water stops on its own when it’s supposed to. These won’t make regular coffee, so unless you have the kitchen storage space for two types of coffee machines or you always drink espresso at home, you may prefer a combo machine. Another convenient option for espresso lovers is the Nespresso. That said, most automatic espresso makers can make Americanos and long blacks, which are similar to regular coffee but, of course, made with espresso. Want to make a pot of coffee without stepping foot in the kitchen? As long as you’ve got the water and coffee set up and ready to go, you can make coffee from the bed, on the way home from an early morning gym session, on your way home from work (when you need an afternoon pick-me-up), etc. These coffee makers connect to your phone with Bluetooth or Wi-Fi and can be operated through an app. Some even work with Amazon’s Alexa or Google Assistant (do you feel like you’re living in an episode of The Jetsons yet?). These machines can be automatic drip brewers, pod or capsule machines, or espresso makers. If you want one of these, expect to pay over $1000.00 (usually over $2000.00). Manual coffee makers allow you to control water temperature, don’t usually take up a lot of space, and the ritual of making your coffee can become almost like meditation as you watch the steaming water swirl across the grounds and then listen to it trickle through them. This is one of the areas where you can really celebrate a love of art while you celebrate the joy of coffee. You can find beautiful handmade single-cup pour overs on Etsy or even in a local coffee shop. It’s a two-for-one celebration that requires a little extra work on your part, but if you typically drink coffee alone or you’re the only one in your house who drinks coffee, it may be perfect. Fan of that minimalist lifestyle and uncluttered living spaces? These are small and can usually be tucked into a drawer when you’re done. You’ll need filters, though, so keep that in mind. You can get reusable, eco-friendly Coffee Socks or another alternative to traditional filters, to cut down on the waste if you don’t want to use paper filters. How does a French press work? You put the coffee in the bottom of the container, pour the hot water in, put the lid to the French press on, plunger up, and then after a few minutes, push plunger down to separate the coffee grounds from the coffee. Pour directly into your cup from the spout. These, too, can be works of art. One thing to keep in mind with a French press is that you’ll probably want coarser grounds than you get in your average bag of coffee. You may find that you’d rather purchase whole beans and then grind them yourself. You can still use your regular coffee with the finer grind, but you’ll need to decrease the brewing time. French presses come in different sizes, so whether you want just a couple of cups or 12, you’re covered. You’ll get bold, rich flavor with the coffee oils intact. If you like a smoother, lighter flavor, simply cut the brew time, similar to the Chemex. You won’t have the added expense of purchasing filters for these. The AeroPress isn’t as pretty to look at as a lot of other tools used to manually make coffee, but it’s quick, effective, and doesn’t take up a lot of room. The resulting coffee is strong; the machine actually has a lot in common with espresso machines. You use a fine grind with the AeroPress and pressure—not just mere gravity—is what pushes the water through the grounds. You can make one cup at a time with an AeroPress. Brewing time varies from about 90 seconds to two minutes. The brewing process is similar to that of a French press. You put the paper filter inside the AeroPress, wet the filter, then put the cap of the AeroPress over a mug. Pour the ground coffee into the machine, add hot water, stir, and put the plunger in. Press the plunger down, try your coffee, and add more hot water if it’s too strong for you (which is kind of like making an Americano). Though this is similar to the French press, you’ll find fewer grounds at the bottom of your cup using this coffee machine. Love to learn how to use new equipment? Enjoy straight espresso and/or creamy, foamy, milky concoctions? If you want to have complete control of your coffee-making experience and aren’t one to depend on a cup of regular ol’ coffee each morning, get a manual espresso maker. Some of these are portable and don’t require electricity, making them perfect for travel, camping, and times when your power goes out and you need your espresso fix. They generally take up less room than a lot of other machines, too. Bonus: They’re a lot less expensive than other espresso makers. Exquisite cold brew coffee takes time and relies on gravity—not heat or pressure—to create the perfect cup. These are pretty simple to set up. If you’re unfamiliar with cold brew coffee, it tends to be less acidic than hot coffee. In general, you’ll mix the coarsely-ground coffee with cold water, steep it overnight (or up to about 48 hours) in the refrigerator, strain it, and then use a little bit of concentrate per glass. Add water and/or milk to dilute it. The concentrate can last a while in the fridge. You can make a lot or a little; it just depends on how much you need at once and how much space you have in your refrigerator. Some combination coffee machines will make iced coffee, like the newer Keurig models, which is different from a cold brew. If you drink hot coffee regularly but also enjoy cold brew coffee, this might be the best bet for you. 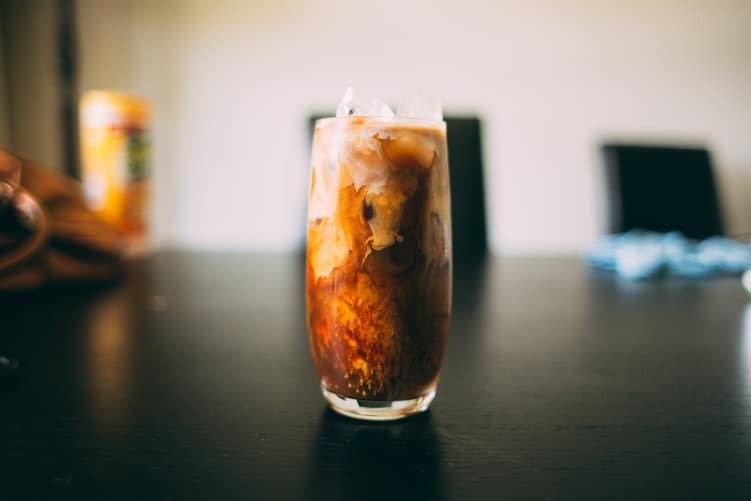 Cold brew makers can create a coffee concentrate or ready-to-drink coffee, but it usually takes a while (as in, overnight). If you do want something that makes actual cold brew coffee, you’ll need something different (and the storage space for it). Cold brew methods are manual ways to make coffee, but they deserve their own spot since they’re so different from the methods for making hot coffee. The Gator cold brew setup isn’t as messy as some of the others. The ground coffee goes into a mesh tube-shaped filter that attaches to the underside of the lid and is positioned at the middle of the jar. No straining is necessary when it’s done because the grounds are contained the whole time—just pour. The Toddy works a bit differently than the typical cold brew coffee maker. 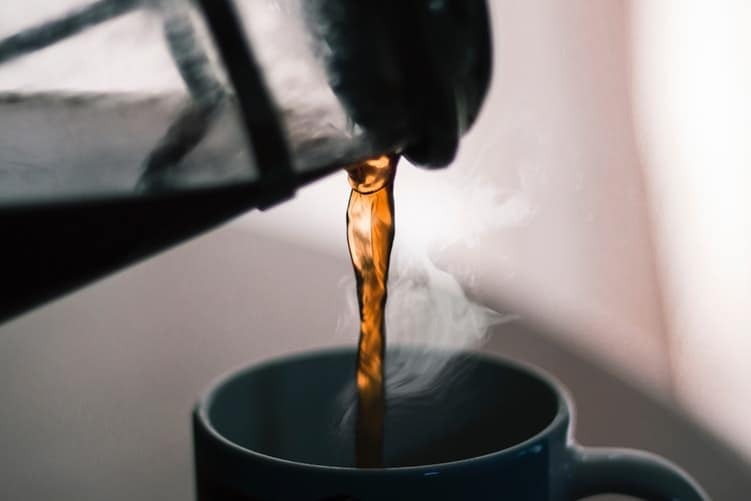 You set a plastic container on top of a large glass jar, put a special filter on the bottom of the plastic container, add coffee and water, and let gravity do the job of slowly pulling the water through the coffee grounds. When it’s done, you have cold brew coffee concentrate without the need to strain anything. Simply empty and clean the plastic container. Want to put your stovetop to work and make yourself some coffee that way? You have a couple of options for a stovetop coffee maker. These can take some finesse. It’s possible to burn your coffee, which will result in something no one wants to drink. However, they can also make delicious, strong coffee (sometimes these are called stovetop espresso makers). As you heat the water, steam and pressure are created. That pressure makes the water move up and through the separate coffee chamber just above it. Eventually, the water boils through the coffee section and into the chamber you’ll pour your coffee from (you’ll know it’s time when you hear the moka pot sputter!). This is one of the least expensive options—as low as about $7.00 for a six-cup size at Target (prices go up to as high as about $90.00 for some models), so if budget’s your concern and you’re willing to spend time perfecting the art of making coffee with a moka pot, this could be your solution. You can make a lot of full-bodied, rich coffee on the stove with a percolator. This one doesn’t work exactly like a moka pot. Instead of pressure pushing water up through the ground coffee, it’s gravity that works the magic here. There are still separate chambers, but the water on the bottom is pushed up through a tube toward the top of the percolator, then rains down through the chamber holding the ground coffee in the middle. The water continues to cycle within the percolator this way until the coffee is brewed (it, too, alerts you with a spurting sound, which is your cue to turn down the heat and pour yourself a cup). Though some percolators are to be used on the stove, some are electric percolators. Most people own automatic drip machines or pod coffee/espresso machines, according to Statista. That makes sense, considering the need for speed and convenience in today’s society. Some people (about nine percent) take the time to make a French press. Even the automatic espresso machines aren’t as common as you might think. If you like to set your coffee maker to start working before you even get up so you can smell the delicious fragrance of your favorite morning beverage as soon as your alarm goes off, you’re going to want to look for this. It’s a pretty standard feature in automatic models, so you shouldn’t have a hard time finding one you want with it. Love having total control of your morning brew and always want it to be as fresh as possible? A built-in grinder might be something you want to look for in your best coffee machine for your needs. Keep in mind, if you find an almost-perfect match for your needs, you can always get a separate grinder that won’t cost a ton or take up a lot of counter space. This is really only important for automatic coffee makers because you’ll have full control over where your water comes from for other methods. If you already have filtered water at your home (whether at the refrigerator or the sink), it’ll be less of a concern. If you plan to use tap water to make your coffee, the filter will be a nice bonus that could improve the flavor of your drink. This is the biggest deal when you’re looking at espresso makers and combination machines that make specialty coffee drinks. If you want to be able to steam or froth your milk, consider how you prefer to do it. Does it need to be attached, or are you fine with a separate device (handheld or otherwise)? Do you tend to forget to turn appliances off when you leave home? You might need an automatic shut-off. Thankfully, this is a common feature so it probably won’t hold you back from getting the best coffee machine you can find. Of course, this can only really come on automatic coffee makers. You’re on your own to turn off the stove or unplug the kettle of hot water. How much time are you willing to spend learning how to use a new coffee machine? If you need something simple that you can use and get right, right out of the box, you’ll most likely want to skip the moka pot and certain types of espresso machines and choose something automatic that you can operate with little more than the press of a button. Of course, how to find the best coffee machine really boils down in large part to how you like your coffee. If you drink your coffee black, you can go with any of the options, though if you prefer to savor a big cup of coffee in the morning, you’ll probably avoid the espresso machines. 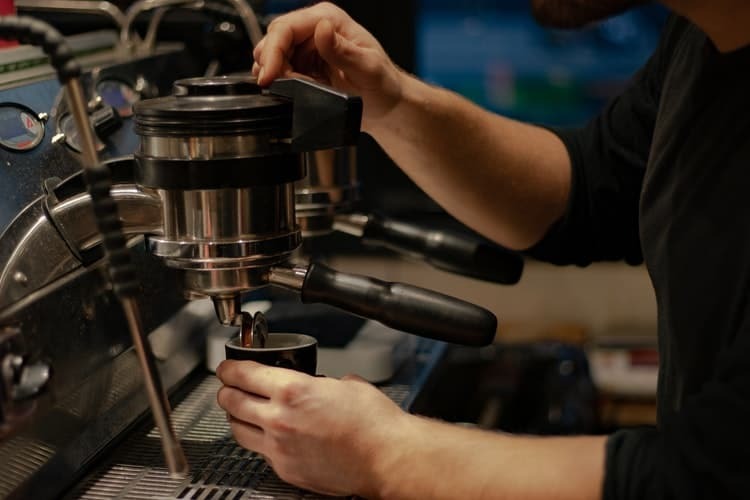 If you like those $5.00 drinks in cafes and want to be able to create them at home and make them just the way you like them, you’ll want an espresso maker, a pod machine or a combo machine that makes strong coffee meant for specialty drinks. Love to experiment with fancy drinks? You’ll need an espresso machine or combo. If you like hot and cold beverages and only want one coffee machine in your kitchen, the best coffee machine for you will be a combo. If you enjoy the learning process but like your coffee fairly simple, a Moka pot or cold brew maker may be perfect. If you’re busy rushing out the door or stay home with young children, you’re not going to want to spend a lot of time making coffee. You’re probably just hoping for time to actually drink the coffee when it’s done. Automatic’s the way to go. Or AeroPress, since it’s fast. Sometimes what you are looking for is just a straightforward coffee maker that is BPA-free. Now, if you’re not one to make coffee as part of your morning routine, your lifestyle in general matters a little less. 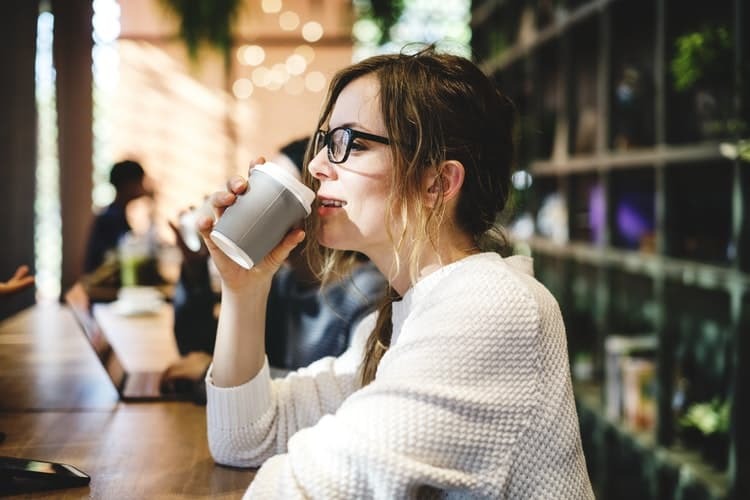 Your frantic morning routine and go-go-go (weekday) lifestyle don’t matter if you’re still grabbing coffee in a drive-thru or in the breakroom at work. Do you drink coffee sporadically, or do you only take the time to make it when you work from home or have the day off? If you want to savor the whole experience of making and drinking coffee, from start to finish, you’ll probably prefer a manual method. If you tend to sit at the kitchen table and work from home, you can give yourself the café experience by sitting down with a French press and a mug. If you drink several cups of coffee, hours apart, your best coffee machine will be one that allows you to make a single cup at a time. Know what the best coffee machine is, but unsure of which brands to consider? Here are some of the top coffee machine manufacturers. When you’re learning how to find the best coffee machine for you or to get as a gift for another coffee lover, you may find that no single machine checks all the boxes, especially if you like to experiment with different types of coffee beverages. However, with so many options on the market, you should be able to get a coffee maker or espresso machine that comes pretty close to covering all the bases you’re worried about. If all else fails, consider having one machine you keep on the counter and another—like a pour over dripper, Moka pot, or AeroPress—tucked away in a drawer.